We live in a strange world. When people suffer with an unbelievably difficult condition, typically we ask how we can alleviate the suffering. For some reason, autism is the one condition where everything is the opposite. As a society, we often act in such a way to make sure that children with autism do not get the help they need. How did we do this and is this changing? 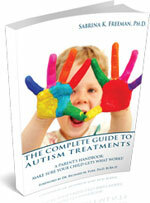 Traditionally, there has been little to no outcome criteria for autism services. It has seemingly been most important that everyone feel good about providing generic services, and that people are judged on how many children are processed, and how much money is spent on each child. It is still very few systems that actually measure how children are progressing as a result of the services they receive. For the most part, we are not actually talking about treatment, but “services.” Fortunately, various laws protecting our children and the latest autism mandates that are being passed act as a counter weight to the unfortunate policy history of the disorder. Now there is apparently a new, improved way to avoid providing treatment for children with autism. The method is to simply reclassify autism as simply being a natural, neurological difference; the need for treatment vanishes. We then need only add some academic legitimacy to the mix, and some governments and health insurance companies can save millions of dollars. Unfortunately, despite this academic sleight of hand, there are still thousands of children with autism who desperately need help. Harold Doherty’s autism blog provides a well thought out analysis that I recommend people read. He goes into some depth about this vexing issue. It’s hard enough to have a child suffering from the difficult condition of autism. Now parents actually have to fight for the rights of that child to even be considered disabled! My heart goes out to all the parents who haven’t slept for a decade, who have to battle the school districts daily to make sure their child is safe and has equal access to an education, who have spent their way into poverty in order to pay for treatment, whose lives have been changed forever because of their devotion to their child. Despite the growing number of people who are attempting to revise reality by having it reclassified, those of us who have lived it understand the truth. Autism is a very disabling condition, and our children need science-based treatment for their condition, despite what the editors of the various journals may publish to challenge the notion. Tags: political correctness, revisionist history, i.q.